Q. How to install open-vm-tools in linux CentOS 6.6 ? A. VMware is announcing the release of large portions of VMware Tools for Linux, Solaris and FreeBSD guests under GPL and GPL-compatible licenses. VMware is also announcing the creation of the Open Virtual Machine Tools (“open-vm-tools”) project on Sourceforge.net. Even-though CentOS 6 not on the recommendation list, you still able to install the third party VMware-Tools (open-vm-tools) via EPEL repo as below steps. VMware Tools is a group of utilities and drivers that enhances the performance of the virtual machine’s guest operating system and improves interaction between the guest and the host when running on a VMware Esx/Esxi, VMware Player, VMware Server or VMware Workstation. This post will show you how to install VMware Tools on Ubuntu 14.04. There are multiple way to install VMware Tools into an Ubuntu VM. 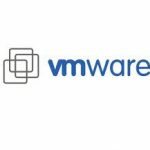 This post will describe how you can install VMware Tools from vSphere client installer. 2. Login to vCenter using vsphere client, right clicking on the Ubuntu 14.04 VM, selecting “Guest”, and then choosing “Install VMware Tools”. designed to work independently of this feature. machine. These packages are available on your distribution's installation CD. Note: The -d switch assumes that you want to accept the defaults. If you don’t use -d switch, kindly choose the default for all questions. 1. Install the prerequisites into your CentOS 6.5. 2. Attach the vmware tools sofware from vSphere client. Assumed that the host is ESXi 4.1. 3. Mount the attached vmware tool software. 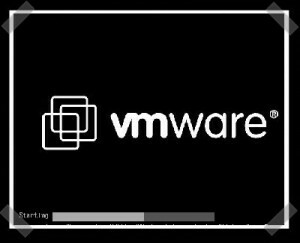 How to Uninstall VMware Tools if upgrade of VMware Tools is incomplete and i got hit by any problem during installation ? Uninstalling the tar installation of VMware Tools. remove it. Somebody else apparently did it already. it. Somebody else apparently did it already. /usr/lib/vmware-tools/lib64/libconf/etc/gtk-2.0, and was about to remove it. program did not create, it will not be removed. did not create, it will not be removed. successfully. Thank you for having tried this software. In this post, i will share with you the YouTube video that guides you through on how to take, revert, delete the VMware Snapshots and also the available process while you working with snapshots. What is a snapshot? What is it for? A snapshot preserves the state and data of a virtual machine (VM) and the system memory of your VM at a specific point in time. Taking snapshots of your VMs is very useful as it enabling you to revert to the snapshot in case something goes wrong with your VM. But it need proper management in order to avoid performance problems in the future. Represents the state of a virtual machine at the time it was taken. Includes the files and memory state of a virtual machine’s guest operating system. Includes the settings and configuration of a virtual machine and its virtual hardware. Is stored as a set of files in the same directory as other files that comprise a virtual machine. Should be taken when testing something with unknown or potentially harmful effects. Is not meant to be a robust method of backup and recovery. If the files containing a virtual machine are lost, its snapshot files are also lost. Negatively impacts the performance of a virtual machine. This is based on how long it has been in place and how much the virtual machine and its guest operating system have changed since the time it was taken. It is not recommended to run production virtual machines off of snapshots on a permanent basis. Can take up as much disk space as the virtual machine itself. If multiple snapshots are possible, the amount of disk space used increases with the number of snapshots in place. Install the following development tool that related with Vmware-tools software. What is the location of the directory of C header files that match your running kernel? Try to update the server kernel and reboot.